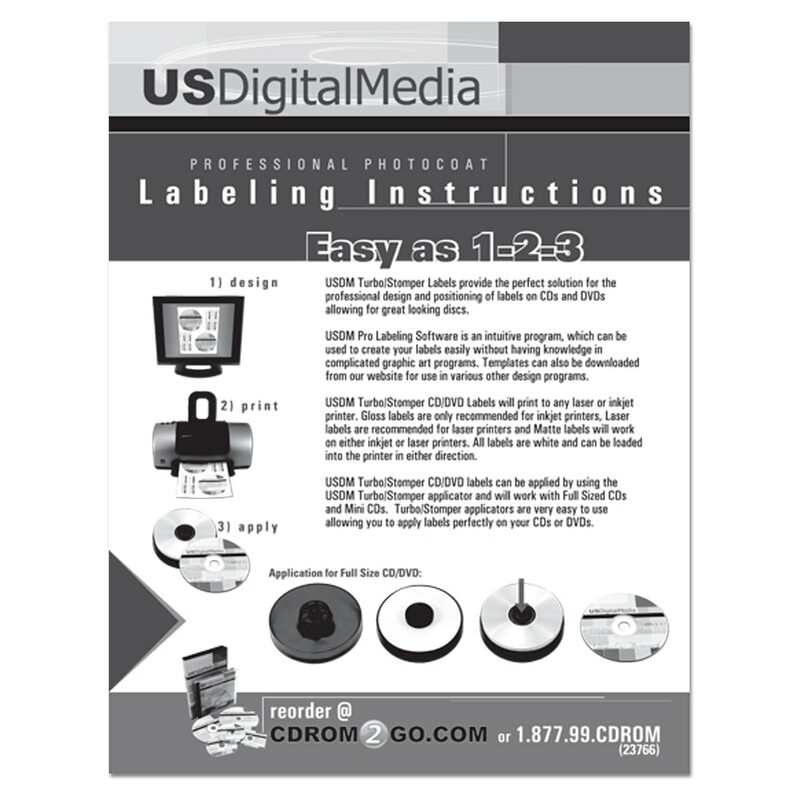 Labeling is as simple as 1-2-3 with USDM’s Turbo Full Size CD Labels. Just design, print, and apply to your chosen discs. 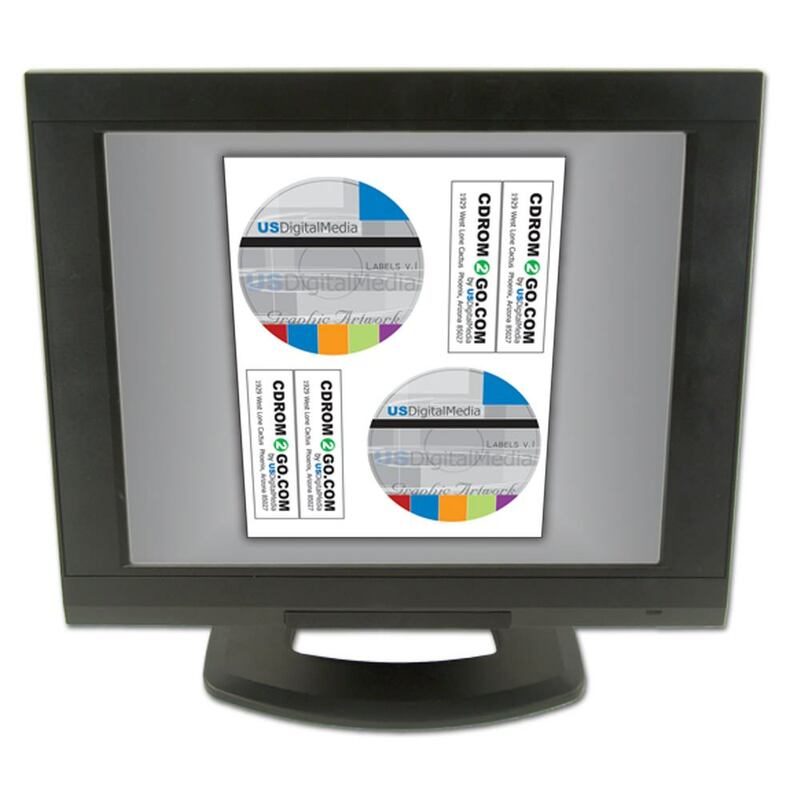 We even give you the software! 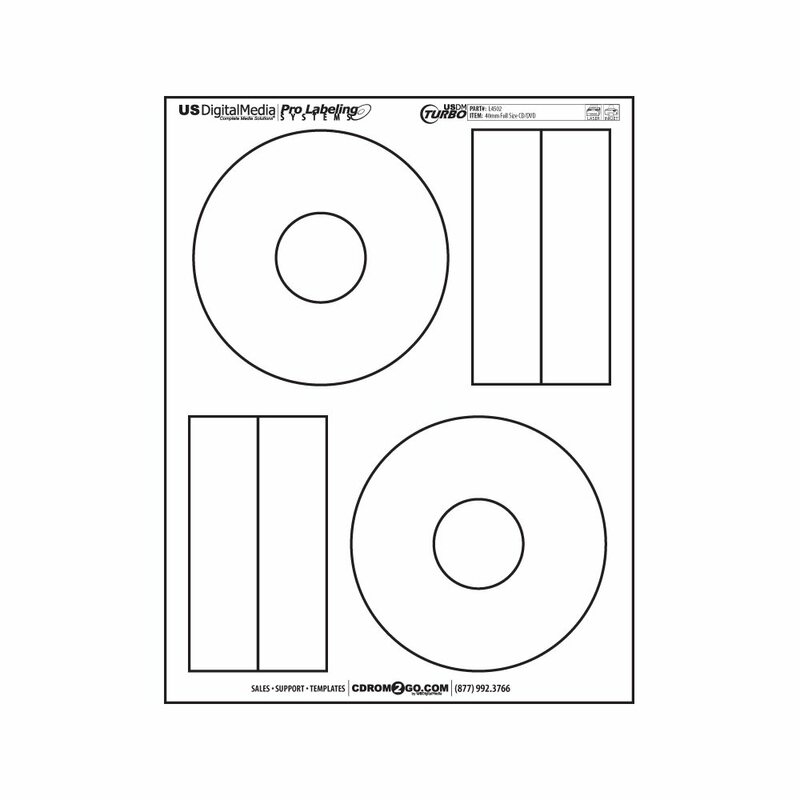 This package comes with two custom adhesive labels that can be applied using a Turbo or Stomper applicator. This item will give you fantastic prints using a compatible printer. Sold in packs of 100—what a value! 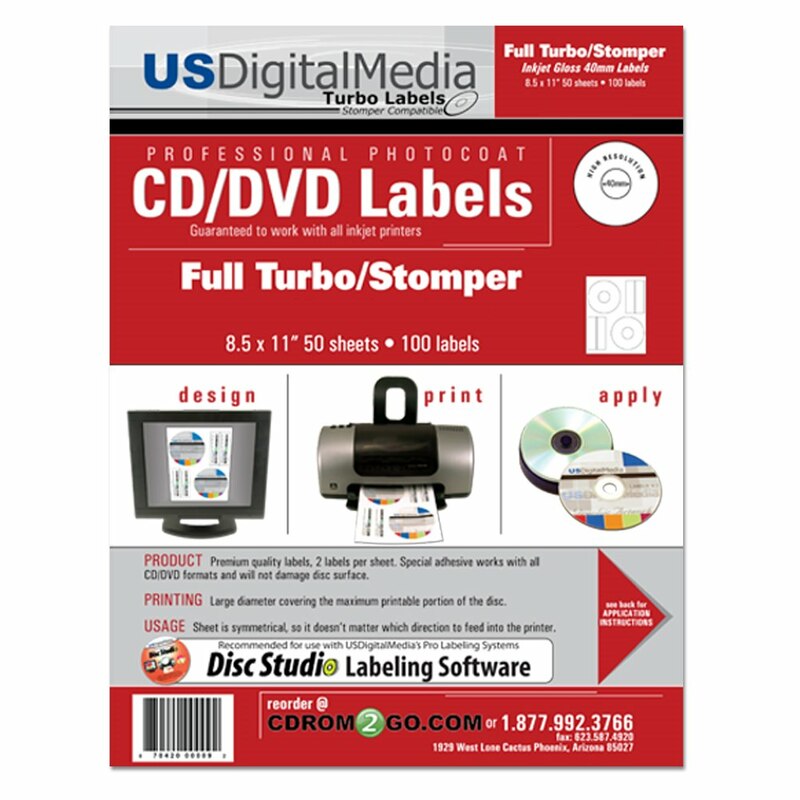 US Digital Media Premium CD / DVD labels for Turbo or Stomper applicators. 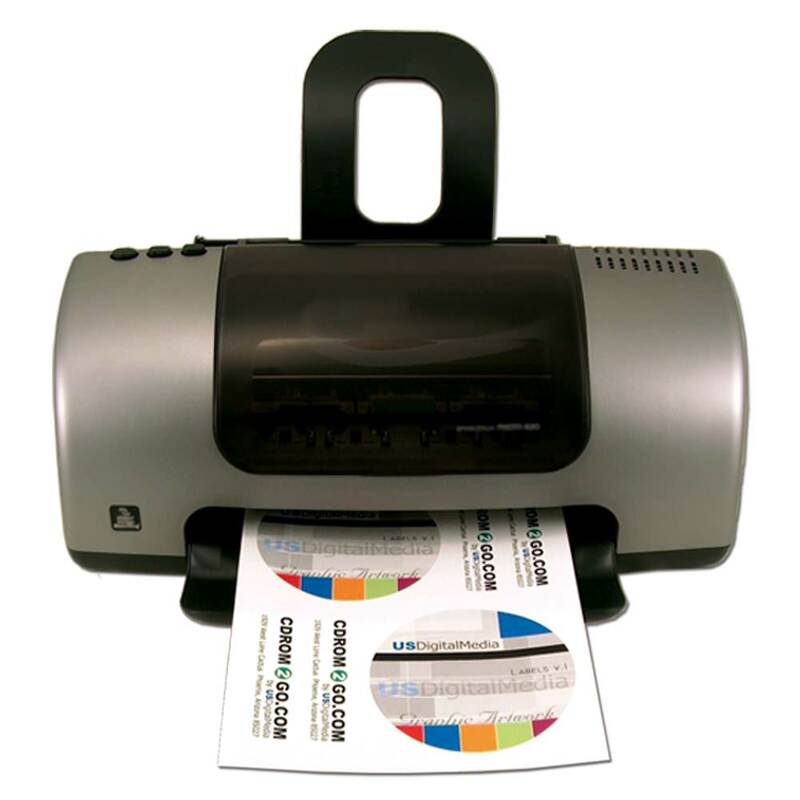 Features a high quality printing surface giving you great looking prints using a compatible printer. Matte finish is compatible with most laser and inkjet printers. Inkjet gloss finish is inkjet printer compatible only. Laser gloss finish is laser printer compatible only. 40 mm hole allows you to print up to the stacking ring. For full size discs. 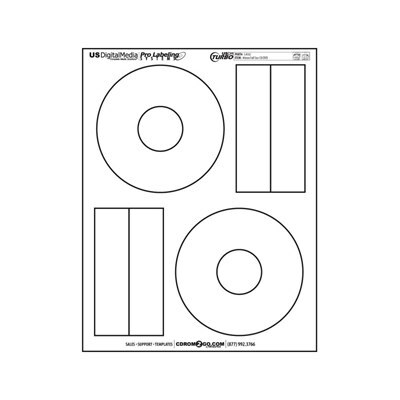 Your choice of paper finish: inkjet gloss, laser gloss, inkjet/laser matte.